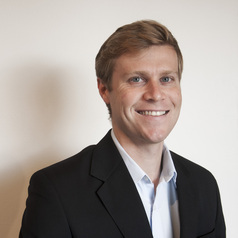 Dr Christian Downie is an Australian Research Council DECRA Fellow (2018-2021) in the School of Regulation and Global Governance at The Australian National University. He was previously a Vice Chancellor’s Postdoctoral Fellow at the University of New South Wales. Christian has worked as a foreign policy advisor to the Australian Government’s Department of the Prime Minister and Cabinet and a climate policy advisor to the Department of Climate Change. Christian holds a PhD in international relations and political science from the Australian National University, having graduated from the University of Sydney with first class honours in economics. He has spent time teaching or researching at the Massachusetts Institute of Technology, the London School of Economics and Political Science and the University of Waterloo, among others, and he has worked in policy think tanks in Canberra and Washington D.C. Christian is the author of more than 20 peer-reviewed journal articles and book chapters including publications in Global Environmental Politics, Energy Policy, Global Governance, International Affairs, and Third World Quarterly. His first book, The Politics of Climate Change Negotiations, was published in 2014.